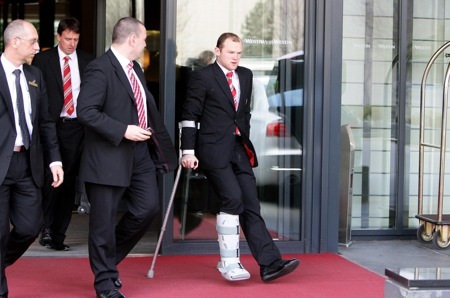 England star Wayne Rooney will almost certainly be fit in time for the World Cup finals this summer after Man Utd confirmed he had suffered only “minor” ankle ligament damage. Phew with knobs on. Rest up for South Africa, Wazza – if Fergie will let you. 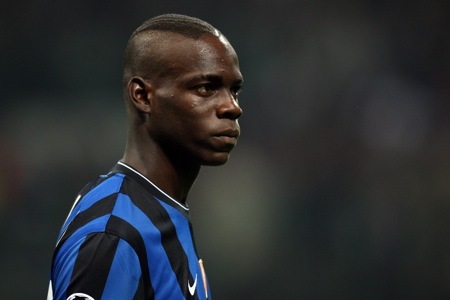 Arsenal lead the race to sign flighty Inter striker Mario Balotelli, according to Caught Offside. The player’s agent has scoffed at a move to AC Milan, no doubt putting the Prem’s top teams on red alert. Is Balotelli a Wenger player? Hmm, I’m not convinced. 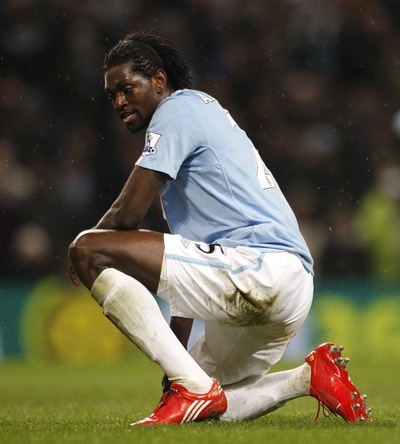 “This season has just passed by, and it’s been difficult,” Emmanuel Adebayor has told the Manchester Evening News. “For me it has not only been the last month but the last few months. “What happened in Angola [at the ACN, when Togo’s bus was attacked by gunmen] made things difficult, what happened against Arsenal made things difficult, and then I got sent off at Stoke as well.